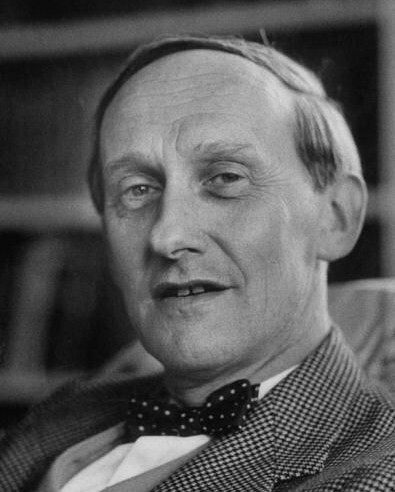 Lord David Cecil (1902-1986) was a literary critic and Oxford don – and the son of the Marquis of Salisbury, the late nineteenth-century prime minister. There’s a good summary site with photos here. His full name was Edward Christian David Gascoyne-Cecil. He went to Eton and to Christchurch, Oxford, where he gained a first in modern history, and took up a post teaching history. However, he also won the Hawthornden Prize in 1930 for his biography of William Cowper. He decided on this basis to leave Oxford for London, and he married Desmond MacCarthy’s daughter, Rachel, in 1932 – the same year as he was a WR judge. By 1939, he had taken up a fellowship at New College Oxford. He is best known for his writing about nineteenth-century figures – biographies of Jane Austen, Lord Melbourne (to whom he was related through his mother), Thomas Hardy. His 1934 study of Victorian novelists was well-known for its analysis of Wuthering Heights. He spoke, according to Rachel Trickett in the DNB, in a ‘rapid, stuttering, and spasmodic [way], with Edwardian pronunciation’.